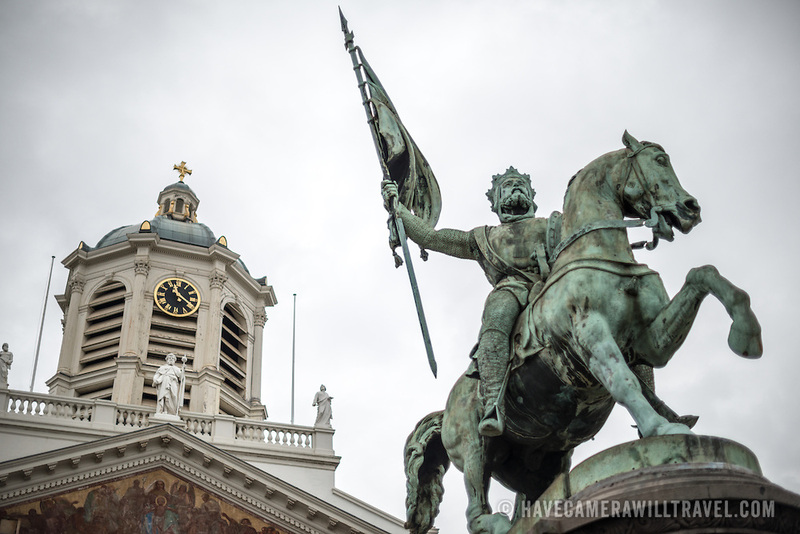 A statue of Godfrey of Bouillon, leader of the first crusade in 1096 AD, stands in the center of the Place Royale in central Brusses, Belgium. The statue was sculpted by Eugene Simonis in 1848. The statue stands in front of the Church of Saint Jacques-sur-Coudenberg.